Brazilian footballer Rodrigo Caio who Valencia CF surprisingly signed out of nowhere for 12.5 million euros has failed the medial tests. 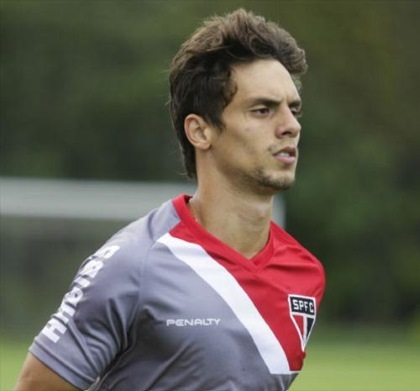 This means Valencia CF would not go through with the transfer and Rodrigo Caio will return to Sao Paulo and continue being their player! It seems that the knee injury he's suffered has done permanent damage and the medical doctors worry that he will not be able to give 100% percent. That is the official story, but we know there were a lot of politics for the arrival of this player, we know Salvo and the sporting director weren't pleased that they weren't consulted about it and this could simply be another political move to get rid of the player and calm the tensions at the club. At this point this is speculation on my part, but I'm 99% sure this is a political move to save face. I don't think the decision is medical, I think he probably had some minor health issue, but I think that is used as an excuse not to sign him, similar in the way AC Milan didn't sign a player due to his teeth, like how do teeth have to do with his ability to play football? I think its a similar situation, where it was decided that he was a mistake and the medical decision is just an excuse to get rid of him!